Certain foreign national professionals who teach in Hong Kong, especially those at university, often find themselves wishing to participate in their profession whilst educating others. The question is begged as to how they can, from a visa and immigration perspective, go about doing this. I’ve just arrived in Hong Kong to work. I have a 1-year contract to teach complementary medicine at a university in Hong Kong and who have sponsored my work visa too. This contract may well be open to renewal each year (though it’s not a rolling contract): my department boss informally/verbally indicated that, subject to basic performance requirements, there’d be no reason why it wouldn’t be renewed. However, besides teaching, I’m also a qualified Reiki practitioner, and this is why I seek advice. I would like to be able to practice Reiki in Hong Kong, and ultimately for Reiki to become my main or only work here, perhaps alongside some teaching too. However, as my work visa for this year has been sponsored by the university specifically to teach for them, both they and the Hong Kong Immigration Department would, I understand, need to give me permission to do this work (ie to join an existing clinic or, ultimately, set up my own clinic, have a work permit from the Immigration Department to do so, pay taxes on this work, etc). This current work visa expires in June, 2013. I have already approached a clinic, and they are willing to take me on, though they also know that I still have the Immigration Department hurdle to deal with. (1) Could you advise what the most efficient and effective way would be for me to be able to practice Reiki legally, both as soon as possible and for the long term, whilst also keeping open the possibility in future of teaching in Hong Kong as another money-earning activity? (2) Should I set up my own company in Hong Kong as a vehicle for my activities here? (3) Also, may I ask how long the process might take from now to the end? (I ask because the clinic that wants to take me is waiting). Option One: You secure the consent of the university for you to join in a side business practicing Reiki with the clinic as an independant contractor. You’d have to register yourself as a Sole Proprietor (as a minimum) with the Inland Revenue Department and secure a Business Registration Certificate to this end AND make an argument with the Hong Kong Immigration Department (“HKID”) as to why this would be beneficial to the HKSAR. Please refer the section on Joining in a Side Business on this presentation from the Hong Kong Visa Handbook (flash). You can expect this process to take between 6 and 8 weeks to complete. Option Two: You cease working for the university and start working for the clinic as a full time, sponsored employee, with the clinic sponsoring you for full time employment visa permissions. 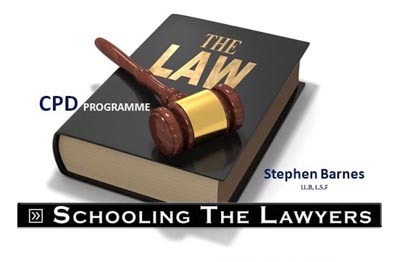 You’d have to make a change of sponsorship application and argue with the HKID that you possess special skills knowledge or experience of value to and not readily available in Hong Kong. As, from my understanding, Reiki is an ‘alternative’ therapy, you should not assume that the HKID will immediately recognize Reiki’s bona fides but in the final analysis it’s all about the argument in the context of the offer of employment on the table and the sophistication of your proposed employer. 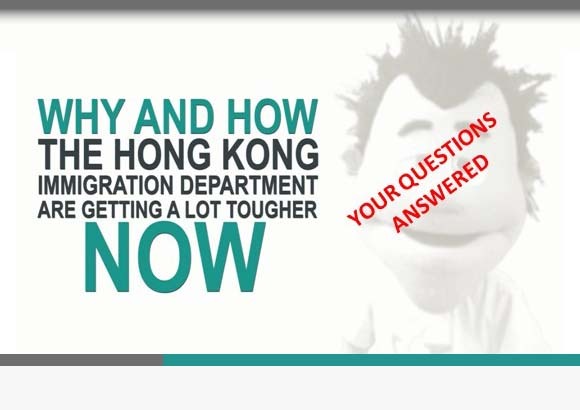 Please refer to the Employment Visa Information document in the Hong Kong Visa Handbook which sets out the the criteria the HKID will apply to such an application. Time to finalisation of such an application will be in the region of 4-6 weeks after all the information the Immigration Department have requested has been supplied to allow them to consider and decide on your application. Option Three: You cease working for the university and go into business for yourself. You would need to apply for a business investment visa. Not an easy challenge as you would for certain have to open clinic premises and anticipate the recruitment of at least one local staff. You would still have the challenge of arguing the bona fides of Reiki as a therapy and go about educating the Immigration Department to this end. You’d need to have a reserve of cash at your disposal to undergo the act of ‘investment’ for the purposes of the approvability test for this visa. Please refer to the various presentations on the Hong Kong Investment Visa elsewhere in this Blog found here. A business investment visa normally takes 12-16 weeks to finalise, from beginning to end. Are there any advantages to being an existing resident of Hong Kong when making an application for an investment visa? Can I employ myself by getting a Hong Kong investment visa?